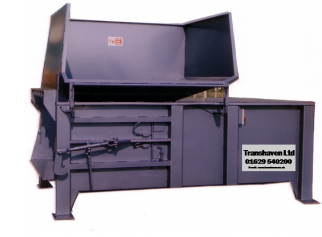 Transhaven Static Waste Compactors are suitable for use with all sizes of waste container. They are available with loading apertures to the rear, left or right hand side and can also be manufactured with a tipper unit to take a wheelie bin. We can manufacture our Static Compactors to include a tipper unit system. This makes emptying easy when collecting your general waste using Wheelie bins. The Transhaven TS400 HD Static waste compactor is suitable for use with all sizes of waste container and is also available with various tipper systems to meet your particular requirements. Stress engineered with an abrasive resistant steel floor the life of the compactor is dramatically extended. A ¾ light alerts the operator the container is nearly full. Internal power pack stops unwanted vandalism and ensures the major components are kept dry. A header bar with retaining teeth stops material springing back in to the charge box. In addition, a prompt and efficient installation and after sales service is provided. For continuous flow and very large levels of general waste we can manufacture larger compactors which can be fully automated with waste loaded in to the compactor via a conveyor belt or air tube. Please contact us for more details.